This journey brings you to the combination of the coastal line and the mountainous area of Northern Vietnam within 6 days & 5 nights period: Hanoi capital, famous UNESCO World Heritage Site Halong Bay and untouched Ba Be National Park. You are welcomed by our driver at Noi Bai airport, transfer to hotel and check in. The rest of the day is on your own leisure to explore the Hanoi Old Quarter. Overnight in Hanoi. Breakfast at hotel. At 08:00, you leave Hanoi for Halong Bay (3.5 hour drive) and board the boat at noon time. The magical bay is home to thousands of limestone islands rising from the waves like dragons’ teeth. Later in the afternoon, you will visit an interesting fishing village with opportunity to interact with fishermen who have been living in the bay for almost three generations. Back on board, you’ll enjoy cocktails or cooking classes while watching the sunset, before indulging in a lavish dinner on board. Afterward, you can choose to do anything from joining movie night, playing board games, or relaxing at the beauty spa before retiring for the evening. You’ll start the day with a morning Tai Chi exercise and an opportunity to view the sunrise over the bay. 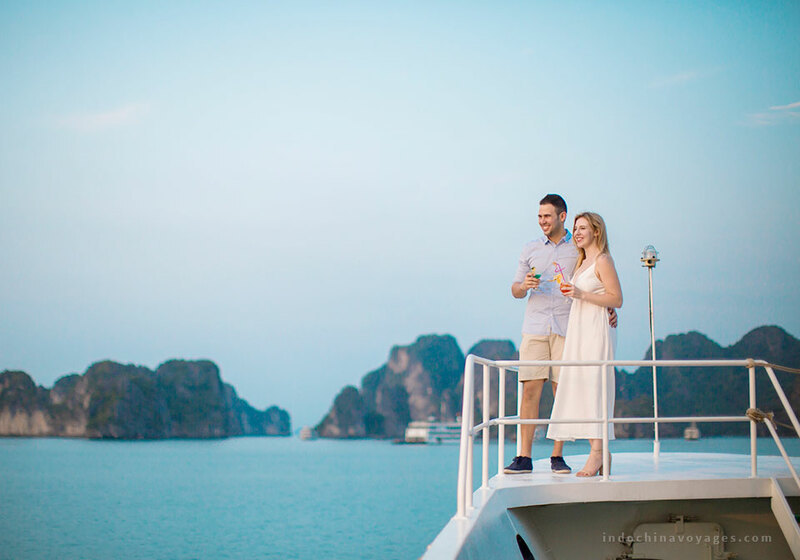 After breakfast, you will be taken to a beautiful limestone grotto before returning to the junk for a final glimpse of Halong Bay while cruising back to the dock. Check out at noon time and the vehicle is waiting for you to take you back to Hanoi. Free time to shop or chill out the nightlife in the Old Quarter. Overnight at hotel in Hanoi. Early morning, we leave Hanoi and then hit the road north towards Ba Be National Park, one of the largest natural lakes in Vietnam, home to many kinds of birds, scenic valleys, towering rocky outcrops, underground river tributaries, a gigantic cave and local ethnic minorities, including the Tay, Red Dao and Hmong. Afternoon, we take a short biking trip from your homestay to discover the spectacular Hua Ma cave. Followed by hiking around small villages and along the riverfront. 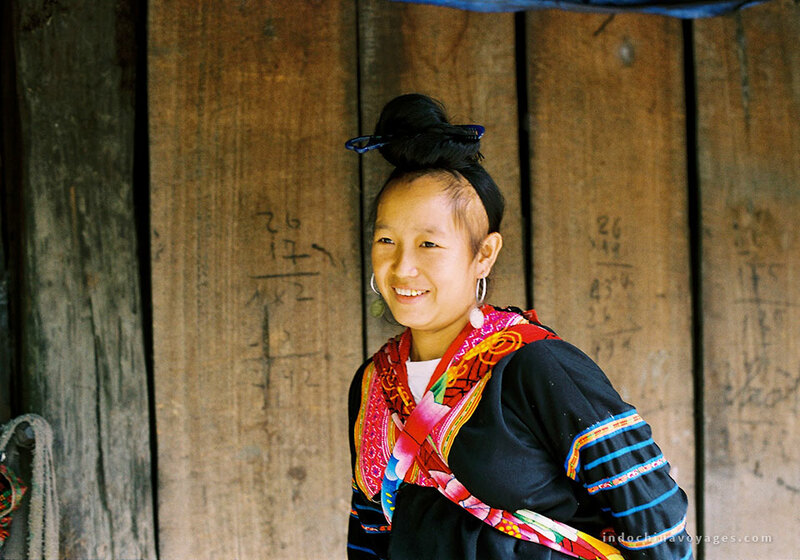 The night is spent with a local family in the traditional house of a Tay family to experience their way of life. Meal is served at the local homestay. The day begins with a morning trek in the park where you discover the diverse and beauty landscapes of Ba Be. We descend into the scenic valley, home to the Tay minority people and encircled by rock formations. In the afternoon we cross the rolling hills and pass Hmong and Red Dao villages. 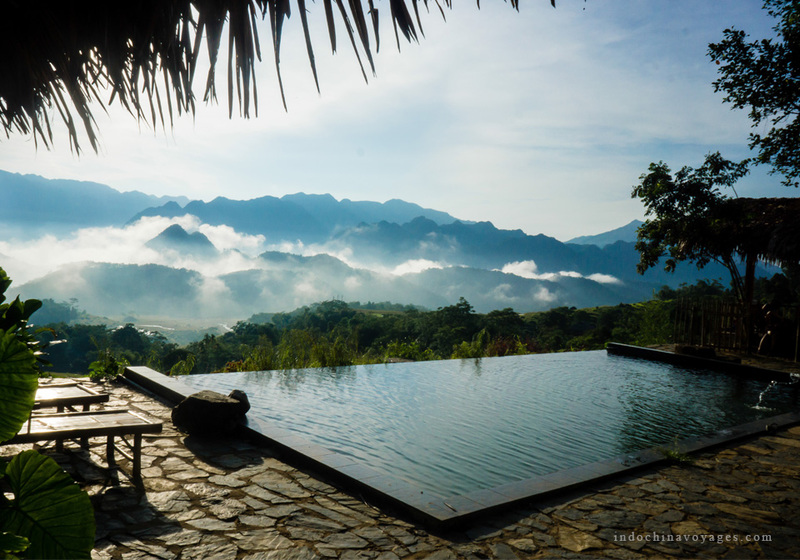 The scenery is extraordinary, with rural farmland, and rugged mountains jutting out of the tangled jungle growth. We end our day in the same local family for the night. Breakfast, lunch & dinner is served at the local homestay. After breakfast at the homestay, we walk to Po Lu Quay to board a boat trip around Ba Be Lake. 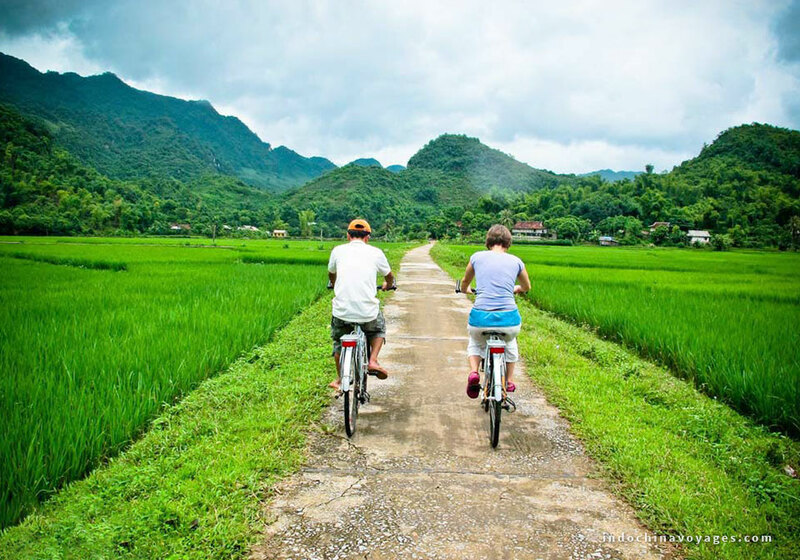 We stroll along the Nang river, visit some lovely villages and hike the upper reaches of the lake, in an area marked by massive limestone cliffs and mountains. You can choose to relax on board, do some wildlife spotting or refresh yourself by jumping into the cool, clean waters for a refreshing swim! After the stunning exploration along the lake, say goodbye to the homestay and come back to Hanoi. Lunch at the local restaurant. End of services.